Our friends at First Second publishing sent over a couple new books for us to look over and I have to say they are pretty cool. I’d like to introduce you to to Science Comics. These books are beautifully illustrated and well organized for visual learning. Maris Wicks brings the world of Coral Reefs to vivid life in Coral Reefs: Cities of the Ocean. The book has a strong introduction, is organized in chapters and provides an excellent bibliography and additional resources for the student passionate about the topic. The sequential art is simple and easy for those unfamiliar with graphic novels to navigate. This is an excellent nonfiction addition to any classroom or school library. MK Reed and Joe Flood bring us Dinosaurs: Fossils and Feathers. 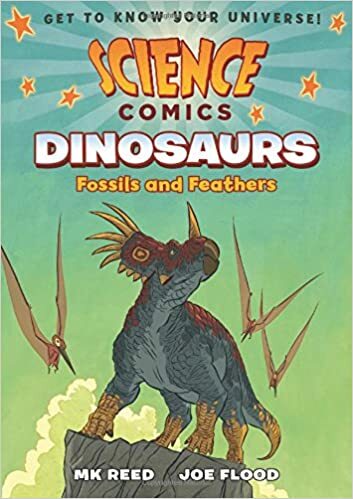 The basic structure of this graphic novel is reflective of the Science Comics brand and includes a well written introduction, bibliography and additional resources. This graphic novel is more demonstrates a more evolved approach to sequential art that will appeal to older youth. This book has a great story telling approach that will appeal to young readers. The books being published by First Second always seem to excite me and this series has several more to come. I’m looking forward to giving the kids in our after school programs access to the entire library. 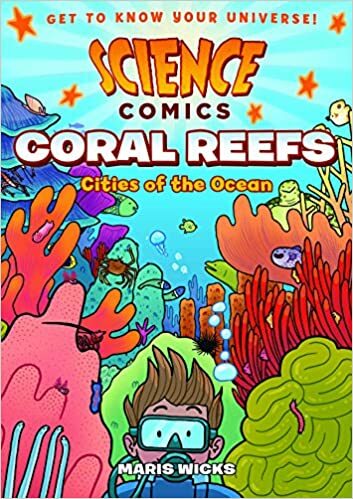 This entry was posted in Book Review, Comics, Educator Resources and tagged Coral Reefs Cities of the Ocean, Dinsosaurs Fossils and Feathers, First Second, Joe Flood, Maris Wicks, MK Reed, Science Comics. Bookmark the permalink.